�LES IRIS� has a scenic and peaceful country environment offering 4 well appointed self-catering apartments and studios with a heated pool. These can be booked individually or taken together to accommodate a group of up to 15 people. Ideal for those wanting to enjoy a holiday with friends or family, whilst having the privacy of their own independent accommodation. 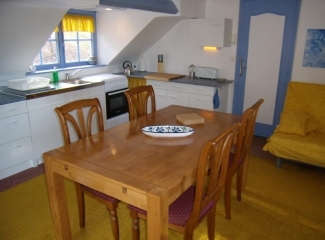 2 smaller bedrooms each with 1 single bed and a private bathroom and toilet. A large living/kitchen and eating area with TV and 1 high quality sofa bed which sleeps 2. The kitchen looks out over the woodland landscape to the rear of the house. 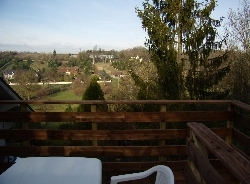 The highlight of this g�te is it's raised wooden outdoor terrace with a panoramic view over the valley particularly pleasant for outdoor eating in the summer months. & BBQ. A baby's cot is also available. 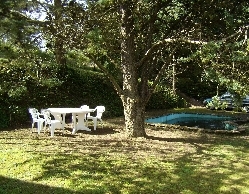 Picnic tables are also set out in the woodland area near to the pool. 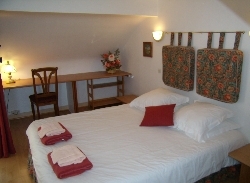 This very modern studio has a large separate shower room, a double bed, a 3 seater sofa bed for a child or adult. 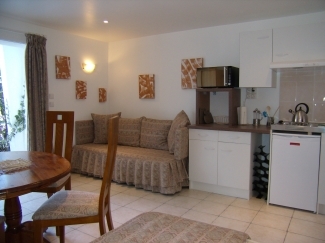 A fully equipped kitchen, chairs and table & a wall mounted flat screen TV, a wardrobe. It's sliding panoramic patio doors lead onto a covered terrace and a private garden area with chairs table and BBQ , directly overlooking the valley. Ideal for a couple with 1 small child. & TV. 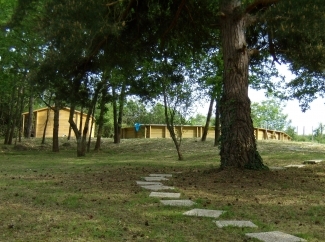 Next to the main room, a private sleeping cabin for a child between 3 and 8 yrs(max hight of child 1.26m). 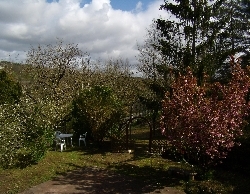 A complete shower room and toilet.The studio looks out over the valley from the kitchen window and opposite French doors open out onto , the private garden with table chairs & BBQ pleasantly shaded by a large Cyprus tree, overlooking the fishpond. This is a very modern compact studio, ideal for a couple. 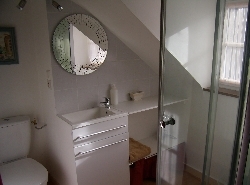 Has one large separate shower room and toilet. 1 double bed, a well equipped kitchen, table and chairs,a wall mounted flat screen TV, a wardrobe and shelving for clothes storage. The sliding patio windows lead onto a covered terrace and on to the private garden area with chairs and table+ BBQ, directly overlooking the valley. or contact us. 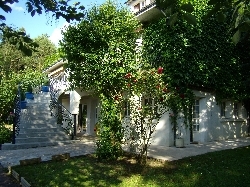 Special rates can apply for low season and long stays. Prices are all inclusive.